After another evening of great fun, we are looking forward to the next edition of Swing Dancing lessons. Please come directly to the venue, Protected content . Call me in case you have any queries. 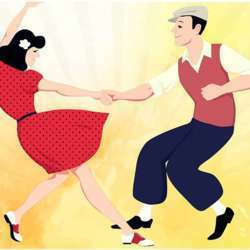 Want to learn dancing or dance socially (swing), then come join us for fun few hours. Some of us went dancing at Protected content and thoroughly enjoyed it, so would like to welcome more people. The fee is 18$ (cash only) which includes 1-hour beginners dance lesson and a few hours of social dancing after the class with DJ.